The year was 1994. An 18-year old Bengali girl from Hyderabad entered the collective consciousness of the nation as the epitome of beauty when she became the first Indian to win a Miss Universe pageant. In the years that followed, she went on to become one of the most sought-after leading ladies in the country. Besides starring in a slew of critically and commercially successful movies, she also became the face of prestigious ad campaigns and pertinent social causes. Two decades have flown by. 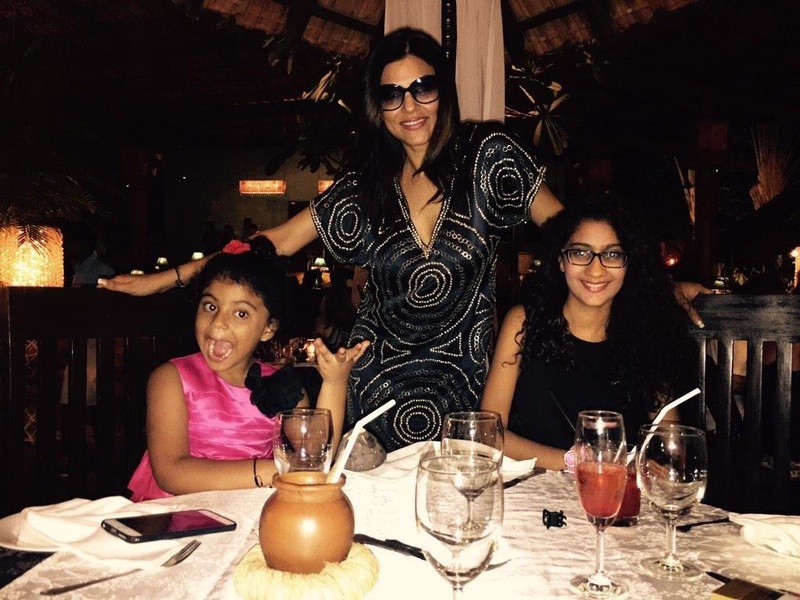 Actress, model, entrepreneur – the inimitable Sushmita Sen has donned many hats over the years, but perhaps the greatest source of joy and pride for the former Miss Universe is her real-life role as a ‘Supermom’. 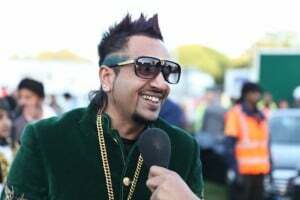 At 40, Sen is not beset by a midlife crisis or any of the insecurities that the so-called stars are prone to. On the contrary, she is a proud single mother who means the world to her two adopted daughters – Renee Sen (17) and Alisah Sen (7). Here is a heartwarming glimpse into the inner world of the unique yet beautiful family that’s all about woman power! When she adopted Renee in 2000, Sen was just 25. Her decision was met with bemusement and disbelief – even frowned upon in some circles. And to be fair, one has to say that the skepticism was justified. To begin with, she was at the peak of her career and seemed too young to handle the rigors of motherhood – much less being the single mother of an adopted child. Everyone predicted that the adoption is going to have a detrimental effect on her career – entertainment industry is infamous for the way it cold-shoulders actresses who choose family over their career. The more pressing issue was one of the core challenges that entail each and every case of adoption – the bonding between the parent and the child. In a lot of cases, either or both of the parties find it difficult to warm up to each other, leading to a hostile domestic environment that can have severe impact on the child’s sense of self-worth. And the parent is left with the arduous task of trying to hold together a dysfunctional family. Invariably, a court battle ensued, citing that Sen was ineligible to be a single mother. But the bold and beautiful actress was determined to stick to her convictions and won the legal tussle. And in mid-2000, she had her rightful due. “I have many memorable moments in my treasure-chest of memories but the day I became a mother is something special. On June 30, 2000 the courts handed me my daughter, Renee. I was ecstatic that day. I loved Renee from the first time I laid eyes on her. In court the fight was a tough one as I was a single parent and a celebrity, so those were marks against me. But I still won and got my daughter,” she recollects. Now, winning the court case was one thing, proving her detractors (even the well-wishers, perhaps!) wrong was another. From personal life to career graph, a lot was at stake, and a lot more could have gone wrong. “People, publicity managers, even my family, were apprehensive of my ‘bold’ moves. They said I should behave in a certain way, and not be so vocal about my relationships or my daughter. I believe you should not forget living while making a living. Over the years, everyone accepted that I was an independent, thinking individual. So, the acceptance came gradually but surely. I like to live honestly,” reminisces Sen about the early days of her motherhood. True to her words, she has not only been a great mother to Renee, but her career soared against all odds (Main Hoo Naa, Samay, Maine Pyaar Kyun Kiya to name a few of the hits). Nine years later, in 2009, Sen adopted her second daughter, Alisah Sen. Unsurprisingly, the 7-year old Alisah is now the apple of her mother’s eye and has even gone on to win over the hearts of the netizens, thanks to Sen’s daughter-doting Instagram posts. From snippets about late-night ice-cream dates to adorable Mother’s day cards and candid Instagram posts, every glimpse we get into the inner world of Sen and her daughters tells us that the three are thick as thieves. But that doesn’t mean the doting mother is incapable of being a little bit of a disciplinarian. In fact, by her own admission, she can be a little overbearing at times. “I can compare myself to Hitler by the way I treat my children – Renee and Alisah. I am a strict mother. I make sure I give them a happy environment at all times and we have a blast when we are together but I want them to be responsible and good humans. My daughter Renee already has dreams to become an actress and I do not discourage her,” says Sen, while adding that the acting career can wait for Renee to complete her higher education. This is all about knowing that pink, yellow road. It’s about discovering your journey; it’s about making friends along the way, respecting the teachers that teach you because these are the things that will never change in your life. You will move on from a school to life itself and you will find new teachers, new guides, new friends but the only thing you will remember, is this nostalgic feeling in the pit of your stomach – is who remembers your DNA, who remembers what you are truly like, and that is what school life is all about. Enjoy your experience. As Frank Baum said, true courage is in facing danger when you are afraid. Now, those words alone should tell you a few things about how awesome the mother of Renee and Alisah is! However, that’s just the tip of the iceberg. 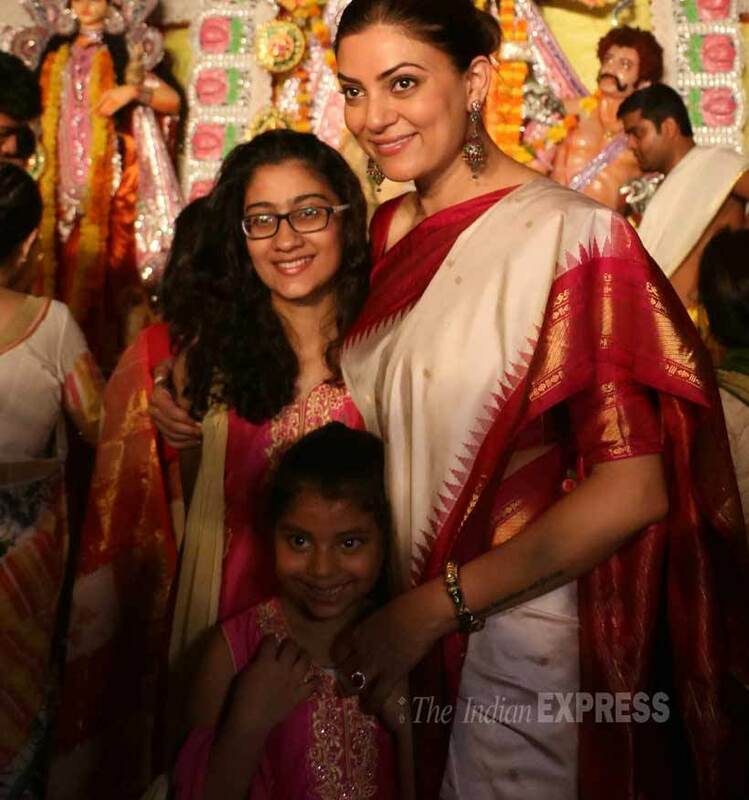 A peek into Sushmita’s Instagram account is all it takes to know how much of a devoted supermom she is. Not only does she find time to spend with family amid the busy schedule, but she does her best to ensure that they have a whale of a time creating wonderful memories. Take for instance, the recent trip to Thailand. 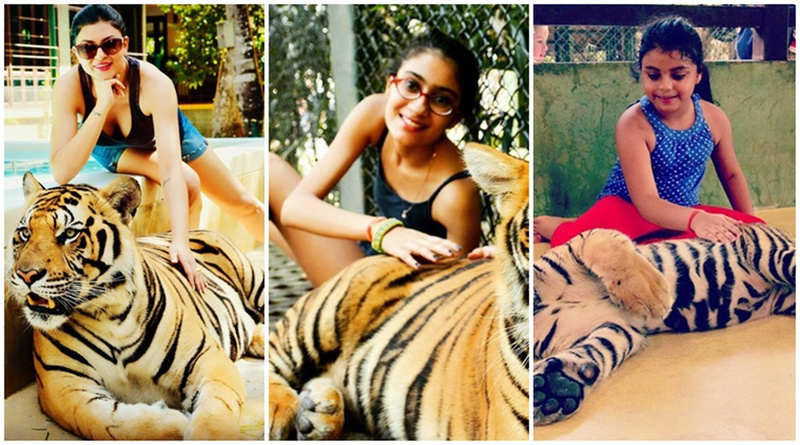 From some daredevil tiger-cuddling to chilling out in the tropical beaches, the trio had the kind of fun that’s sure to give you vacation goals! Not to mention the scuba diving sessions with Renee and the frolics at Alisah’s 7th birthday party that would make you wonder how a 40-year old could prance around with the exuberance of a 4-year old! That’s Sushmita Sen for you. Among her favourite lyrical fragments is the one that runs thus: She is a storm – not the kind you run from but the kind you chase. Perhaps that sums up Sen’s persona comprehensively. If she has managed to juggle between an illustrious career and an unusual yet wonderful family life, it’s not because she has extraordinary gifts; it’s only because she has the capacity for unconditional love for her children and has an exceptional work ethics. In a poignant letter she had written prior to the beginning of Renee’s boarding school days, Sen expressed her gratitude to her daughters for granting her the gift of motherhood. There is no doubting the fact that both Renee Sen and Alisah Sen feel the same way about their mother. Perhaps, even more so! Here is a deferential doff of hat to the super model who went on to redefine herself as a super mommy!